Some of our School Board members and School Board candidates sure do LOVE to party. School Board is a non-partisan position. Kids don’t come with R’s and D’s on their foreheads and I don’t want my School Board members to either. The sad reality is that running for School Board in Fairfax County does require a party endorsement in order to run a viable campaign. The problem is, one party is taking “the party” too far. The Fairfax County Democrats issued their endorsements last week. (See news coverage below) Their selections are mostly the same old same old – based on who has served “the party” and who has been around the longest. Grandmother Janie Strauss is in her second decade on the School Board. Snooooozzzzzzeeeeee. Can’t she go do something else already? Ilyrong Moon – the human weather vane who can’t cast a vote until he sees which way the political winds are blowing – was first elected in 1995. Can’t he go do something else too? School Board shouldn’t be a lifetime position! 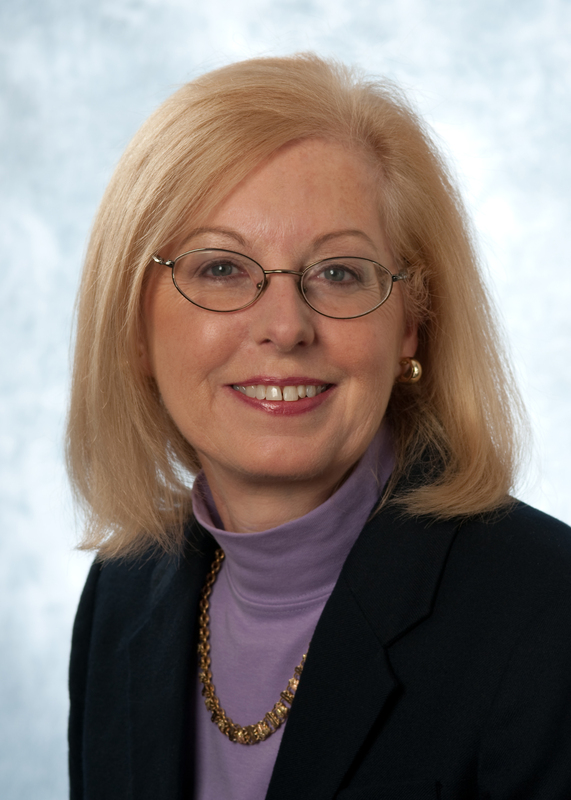 Kathy Smith – the current School Board chair – is responsible for leading the school district right into Fairfax County Circuit Court over Open Meetings Law and FOIA violations and costing taxpayers hundreds of thousands in legal fees. She really needs to go! Taxpayers can’t afford her. These incumbents don’t deliver results – unless of course it’s an election year and then they throw teachers a token 1% pay increase. For the most part though, they’ve delivered nothing but higher administrative spending and rubber-stamping for the Superintendent’s proposals that are often in conflict with what the public wants. They need to go. The Democrats blew it on their At-Large School Board candidate selections too. They chose a guy who is Kathy Smith’s protegé and who is on the record writing nasty letters to the editor about parent advocates. He’s a smooth talker and apparently it was his political party connections that secured his nomination over more highly qualified parent advocates who were seeking the Democrats’ blessing. The party also endorsed another At-Large candidate whose claim to fame is her relation to Mike Espy – former Secretary of the Department of Agriculture. How that candidate’s connection to a pseudo-celebrity is supposed to make her an effective School Board member is beyond me. Smells like nothing more than political nepotism. The Democrats did get it right with two of their endorsed nominees – Sandy Evans and Megan McLaughlin. Both rightly received their party’s endorsement because they are highly qualified to run and both have strong records working on behalf of taxpayers, teachers and parent advocates. I’m proud to be assisting both of their campaigns. I’m advising ten candidates running for School Board and personally serving as campaign manager for two races. There is plenty of “reformer talent” in both parties to do the job. I know because the candidates whose campaigns I’m assisting are from both parties. May I remind all party leaders out there – SCHOOL BOARD IS NON-PARTISAN. There is a reason for that. Kids don’t come with R’s and D’s on their foreheads. THIS IS ABOUT EDUCATION – not politics. I have worked extremely hard for the past three years to build up FAIRGRADE and the Fairfax Education Coalition – both bi-partisan groups – in the hope that endorsements from parent and teacher groups will as valuable, if not more valuable, to voters than political party endorsements. You want a candidate to represent YOU and YOUR child. If a candidate is all about “the party”, who do you think will come first – the party or your child? Choose carefully. There are less than 23 weeks to the election on November 8th. 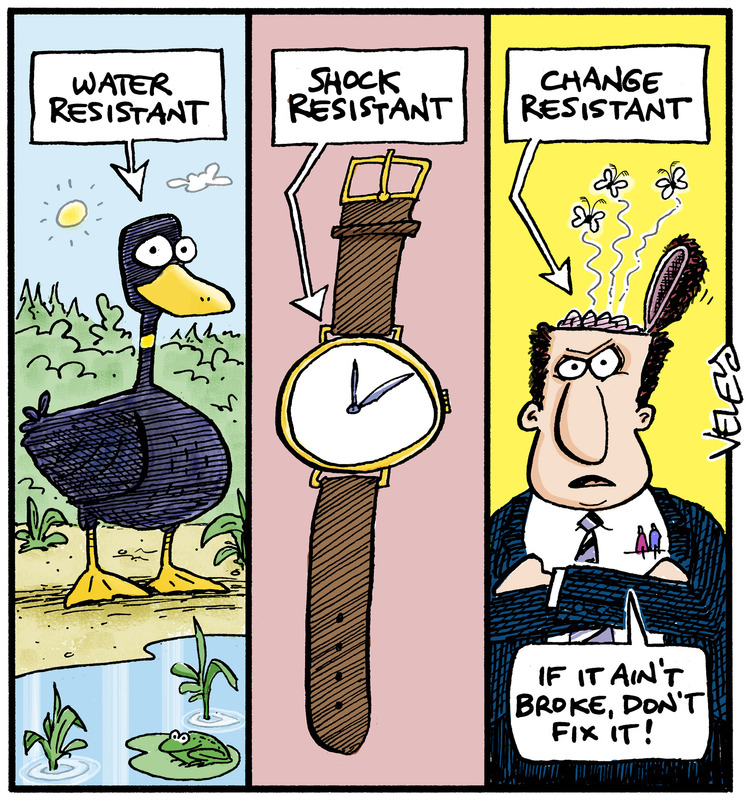 If you want real change, don’t sit on the sidelines. Get involved now. Find a reformer candidate. Volunteer and donate. Reformer candidates from both parties need our support. Voters can vote for one district candidate and three At-Large candidates. 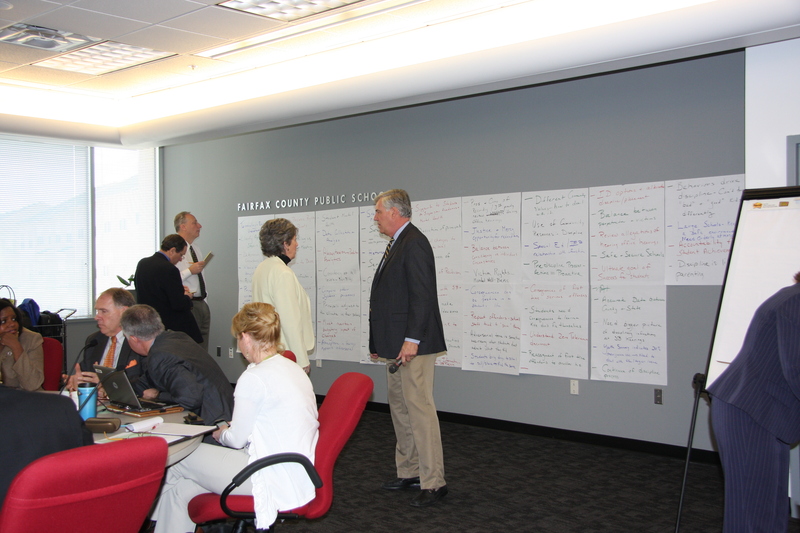 There are a total of 12 School Board members (9 district reps and 3 At-Large reps). It’s not even April yet, and some School Board members are already trying to frame the November elections for School Board. That tells me one thing – they’re running scared about being replaced by voters. Their apparent strategy, as outlined in a recent Fairfax Times article, is to falsely depict all challengers as “one-issue” candidates who won’t serve the “whole” community. Their strategy is also to make “student achievement” the sole focus of any campaign. Hmmmm…actually what’s bad for the school system is School Board meetings that violate Virginia’s Open Meetings Law and the Freedom of Information Act – violations that have recently led to expensive court action over the Clifton ES closure. What’s also bad for the school system is School Board members who are out of touch and fail to be ahead of the curve on issues like FAIRGRADE, discipline reform and administrative spending priorities. My favorite part of this article is at the end when At-Large School Board member Jim Raney states that having new people on the board with new views can also be a good thing. I’ll second that statement! Too many School Board members want this job for life. Ilyrong Moon has been on the board since 1995. Jane Strauss is going on her second DECADE of service. We need school board members who have kids currently attending our public schools – board members who “get it” and can relate to today’s parents and taxpayers! No one I speak to wants more super-sized classes, administrators buying plush new buildings for themselves and senseless policies that lead to low teacher and student morale. New views are good and needed. That means electing new talent that will help reform-minded board members like Patty Reed. Running a campaign for School Board is a demanding and expensive commitment. At the very least, all challenger candidates deserve fair consideration. If you like what they stand for and what they have accomplished, please give them your help and your vote. With your support, the public may finally get the School Board we deserve in Fairfax County! GATEHOUSE II: In 2007, the School Board voted for a second, new administration building that would have cost $130 million. Known as the “Gatehouse II” debacle, parent advocates got the project killed by demonstrating the huge holes in FCPS’ business case. 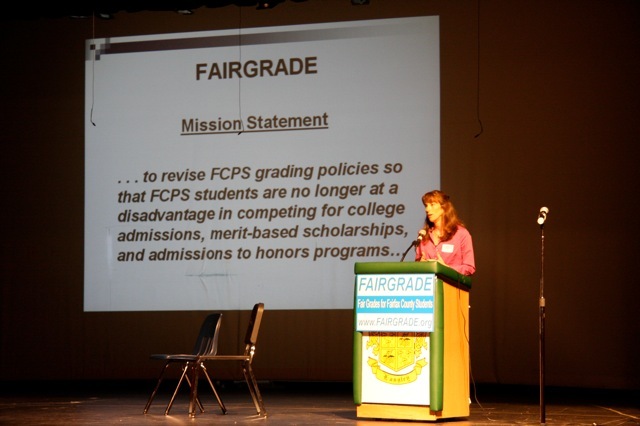 FAIRGRADE: In 2009, thousands of parents engaged in a year long campaign to convince Dr. Dale and the School Board that previous grading policies were harming college-bound graduates. The leaders of FAIRGRADE devoted thousands of volunteer hours compiling the research and organizing the effort that finally led to an overhaul of the grading policy – despite the many obstacles thrown out by FCPS officials. 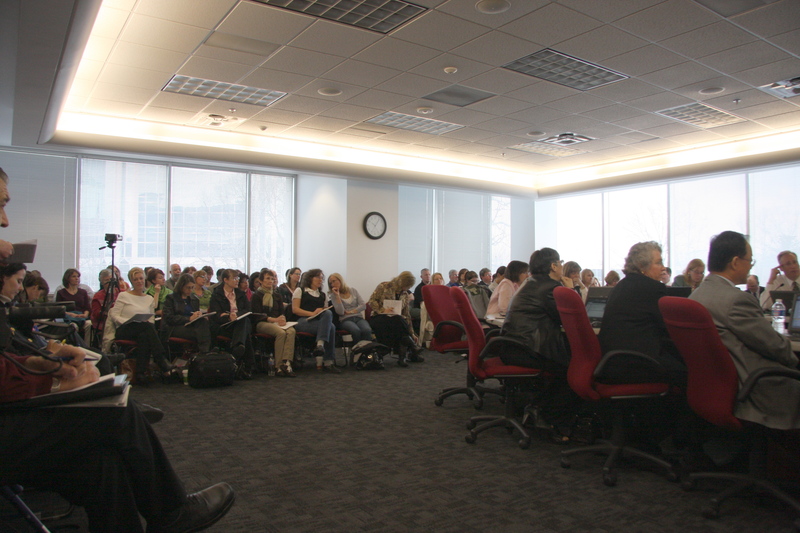 INCREASED CLASS SIZE: In 2010, the School Board voted to increase class size. Red Apple Mom readers know class size is a particular sore point for me as my son’s fifth grade class at Spring Hill ES now has 35 students (one student recently went home to Korea), and we have a third grade class with 33 students! 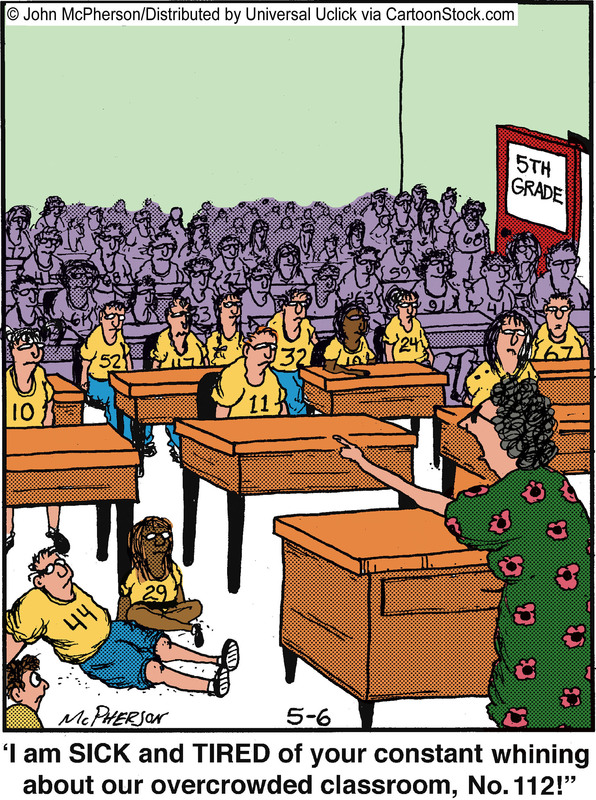 It’s unfair to the kids and the teachers! PUNITIVE DISCIPLINARY POLICIES: We learned that FCPS’ discipline policies recently contributed to the suicide of a Woodson HS student. The public also learned just how excessively harsh these policies are –“involuntary school transfers”, lack of due process, lack of parent notification and a draconian and aggressive FCPS hearings process that treats Tylenol-takers the same as a drug dealer. Thanks to the parent advocacy group Fairfax Zero Tolerance Reform (FZTR) these policies may finally get reformed. FULL-DAY KINDERGARTEN: Until FDK advocates forced the School Board to address the inequity at 37 of FCPS elementary schools, this issue wasn’t even on FCPS’ agenda this year. TEACHER CONCERNS: From compensation issues to working conditions, FCPS’ teacher workforce has had it. The ever-increasing demands of assessments and standardized tests and professional development requirements have taken a big toll. FCPS’ teacher workforce is demoralized with many teachers saying they don’t have time to teach. The plaintiff’s attorneys in the case alleging that the Fairfax County School Board violated the Virginia Open Meetings Law and the Freedom of Information Act, released their brief as submitted to the Fairfax County Circuit Court last Thursday. FCPS’ attorneys will submit their brief to the Court this coming week. The plaintiff’s attorney’s brief runs 15 pages. Click here to read the entire brief. Below you will see main points contained in the brief. To maintain accuracy, I copied the material directly from the plaintiff’s attorney’s document. The outcome of this case will have a tremendous impact, not only on the Clifton community, but also on all residents of Fairfax County and the Commonwealth. The Fairfax County School Board and other public bodies will see the extent to which it is permissible to discuss public business when the public is not watching. By conducting its deliberations behind closed doors in the days prior to the July 8th vote, the School Board violated Virginia’s Open Meetings Law and committed further violations during the July 8th meeting itself and subsequently violated Petitioner Jill D. Hill’s rights under the VFOIA (Virginia Freedom of Information Act) when she tried to learn why the Board voted to close CES (Clifton Elementary School). The use of email as a means to converse has become so pervasive that the Supreme Court of Virginia held that Email can constitute an “informal assemblage” under the OML (Open Meetings Law) requiring public notice and an opportunity for the public to observe the transaction of public business. The School Board members sent hundreds of Emails over a few days with intervals as short as 2-4 minutes. The Board members did not use the Email communications as the functional equivalent of letters. Rather they used Email to discuss their positions, often Emailing back and forth within a short period of time, and to convince other Board members to vote with them on CES. In addition, the Board members engaged in numerous verbal communications with each other, both in person and by telephone. Evidence that the Board members committed numerous OML violations consists of the Board’s own written words and testimonial admissions. Petitioner, therefore, anticipates that the Respondent will cling to its spin that individual Emails do not constitute an informal assemblage because they allegedly are not among three or more members in an attempt to distract the Court and hope that it misses the forest for the trees. The record as a whole established that 1.) The Board cannot meet its burden to establish there were not three or more members involved in the written and verbal discussions and 2.) 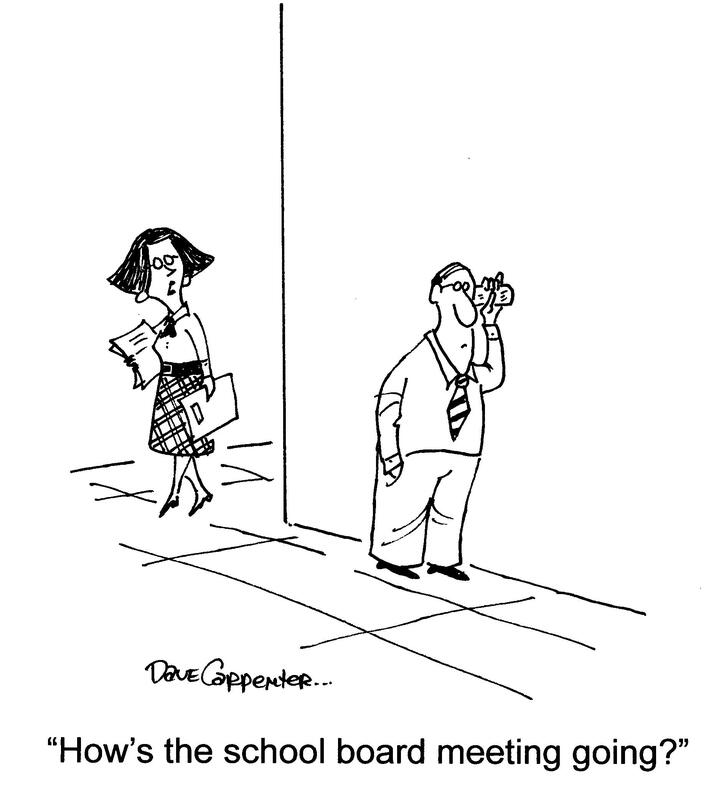 most, if not all School Board members engaged in a series of Email, in person and phone conversations with other members, in which everyone ascertained each others’ positions and certain Board members lobbied for votes. The General Assembly has mandated that VFOIA be “liberally construed to…afford every opportunity to citizens to witness the operations of government.” VA Code 2.2-3700. Ms. Bradsher admitted that she knew it would be a violation to “have a conversation” with two or more Board members outside of open meetings. To avoid that, Bradsher was “very careful” to ensure that everyone knew how the other Board members were going to vote by engaging in email exchanges and then forwarding them to other members with the instruction not to forward them any further, at times skirting the letter of the law but violating its purpose, a purpose that was well known to Bradsher and other Board members. The Court should not permit the Board to use these underhanded tactics to avoid public awareness and scrutiny of its actions. Reed asked whether the water report should be publicly posted and Goddard promptly forwarded the well-water report to Smith and Wilson. Within minutes, Wilson responded that she had checked with Smith and Smith stated that it could wait until after the meeting. Not posting the report clearly violated the VFOIA, especially given the report’s importance to the CES (Clifton Elementary School) votes. 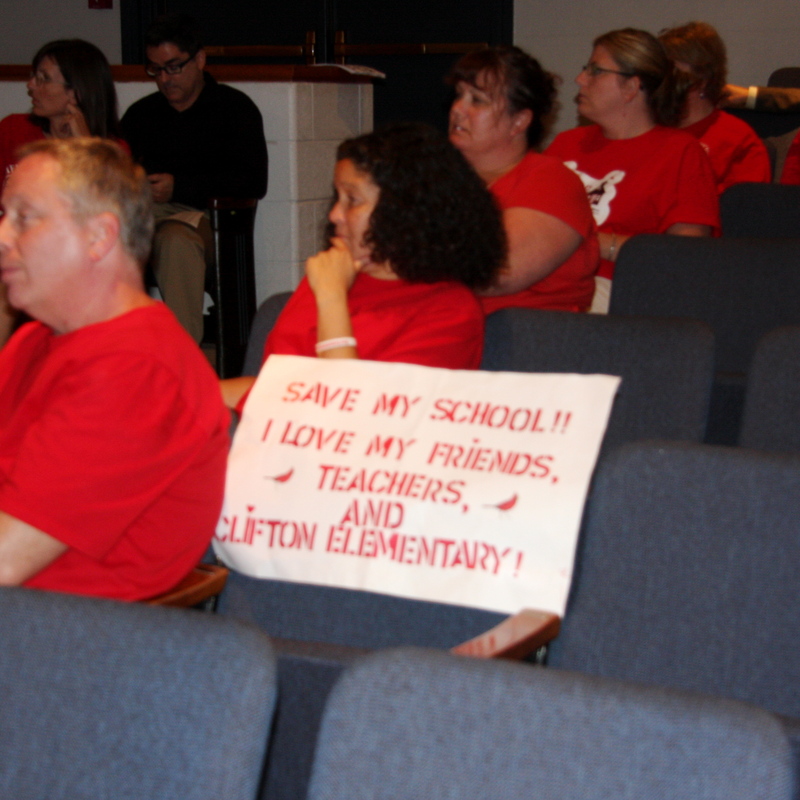 The School Board discussed the report during the meeting, and it had determined during a June 29, 2010 Work Session that “the decision to close or renovate Clifton ES (sic) School should be based on the issues of the reliability of the water supply” and two other factors. Respondent attempts to downgrade this VFOIA violation by noting that (Dean) Tistadt verbally summarized the contents of the report during the meetings. Nonetheless, withholding a document provided to the Board for its consideration during an open meeting is a violation of the VFOIA. …the Court should not establish new law that a public body can comply with the VFOIA statute by withholding materials and simply summarizing them. In discussing the (water) report’s impact, Bradsher quoted an Email from her daughter, which she received during the meeting, emphasizing how dangerous the water was due to incomplete testing for Radium 228, even though the undisclosed well water testing report indicated a minimal risk of Radium 228 contamination. Ms. Bradsher’s discussion of Radium 228 misled many meeting attendees, including Petitioner Hill, to believe that the well water should still be considered unsafe. Petitioner is “entitled to recover reasonable costs, including costs and reasonable fees for expert witnesses, and attorneys’ fees from the public body if the petitioner substantially prevails on the merit of the case, unless special circumstances would make an award unjust. Respondent committed numerous VFOIA violations when Petitioner sought to avail herself of her rights to access the School Board’s public records. I arrived to court this morning about an hour late due to a possible case of strep in my house. Fortunately, my daughter got the “all clear” to attend school and I made it in time for the bulk of School Board member Liz Bradsher’s testimony. Today’s trial was about as exciting as – well as a School Board meeting. There were no smoking guns, and the closest we came to a Denny Crane moment was how well dressed the FCPS attorney appears. We did learn a couple of interesting factoids though. 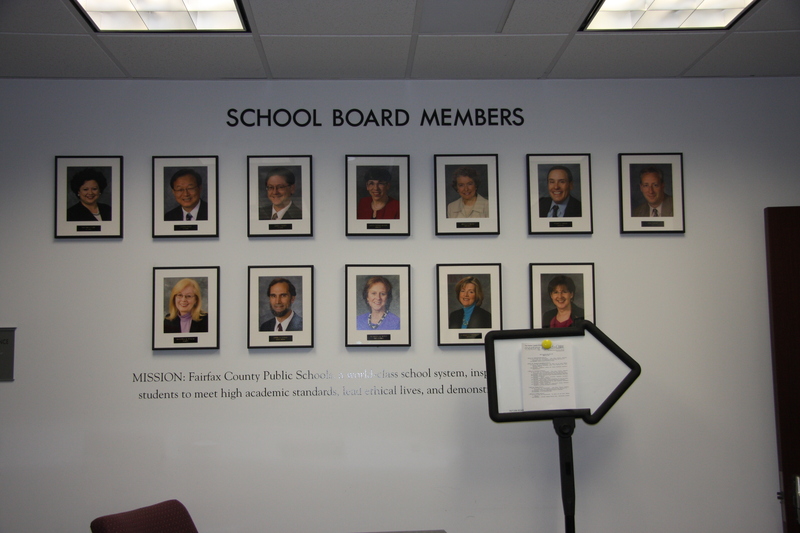 Apparently School Board Chair Kathy Smith and School Board member Tessie Wilson don’t feel that emails from Dean Tistadt, Chief Operating Officer for Fairfax County Public Schools, warrant their attention during School Board meetings. On the night of the vote to close Clifton ES last July, one of the focal points for the discussion was a report about the safety of the Clifton ES well. Tistadt sent a detailed email to School Board members during that meeting containing important test results that showed the well was safe and not radioactive as predicted. The plaintiff’s attorneys asked Chairman Kathy Smith and Board member Tessie Wilson about Tistadt’s email today. Plaintiff Attorney: Did you receive an email from Dean Tistadt? Tessie Wilson: I do not recall seeing the email. Plaintiff Attorney: Please turn to page 2, exhibit 65. Tessie Wilson: I do not recall seeing this email. I don’t always read emails that come during a meeting. Plaintiff Attorney: Do you recall receiving this email from Dean Tistadt? Kathy Smith: I recall Tessie Wilson showing it to me. Plaintiff Attorney: Did you read it? For the record, Dean Tistadt did speak at the School Board meeting that same night and provided some of the details about the well’s test results to School Board members in person. He did not, however, cover all of the issues that might have been helpful to School Board members in deciding whether or not to close Clifton ES. During Liz Bradsher’s testimony in court, she testified that the vote to close Clifton ES, was “a serious vote.” Serious indeed. 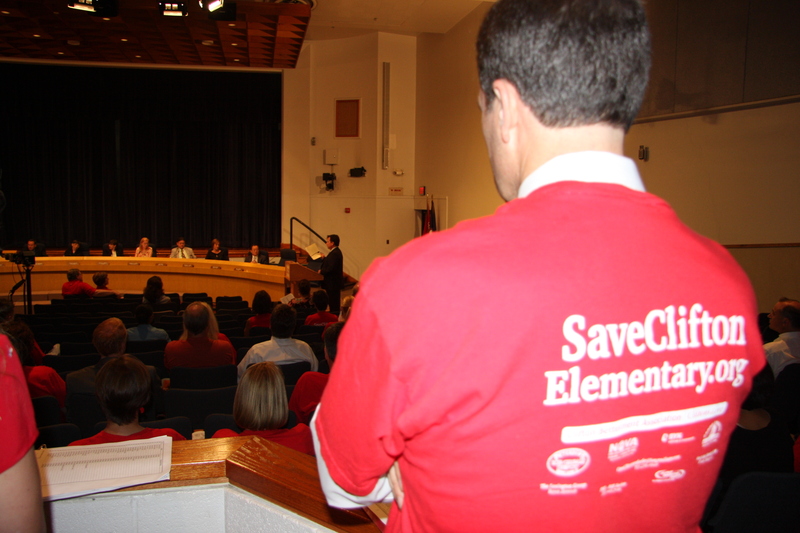 This was a vote to close one of FCPS’ most successful elementary schools. So why couldn’t Smith and Wilson read an email from one of FCPS’ highest ranking officials when they knew Tistadt was in receipt of test results that were pertinent to the issue they were voting on that evening? Finally, here’s another factoid we learned today. If you file a Freedom of Information Request (FOIA) with FCPS, you won’t get a reply until FCPS consults with their legal counsel first. I felt that is worth noting because as we have seen with FCPS’ current discipline policies, FCPS students aren’t lavished the same legal attention. 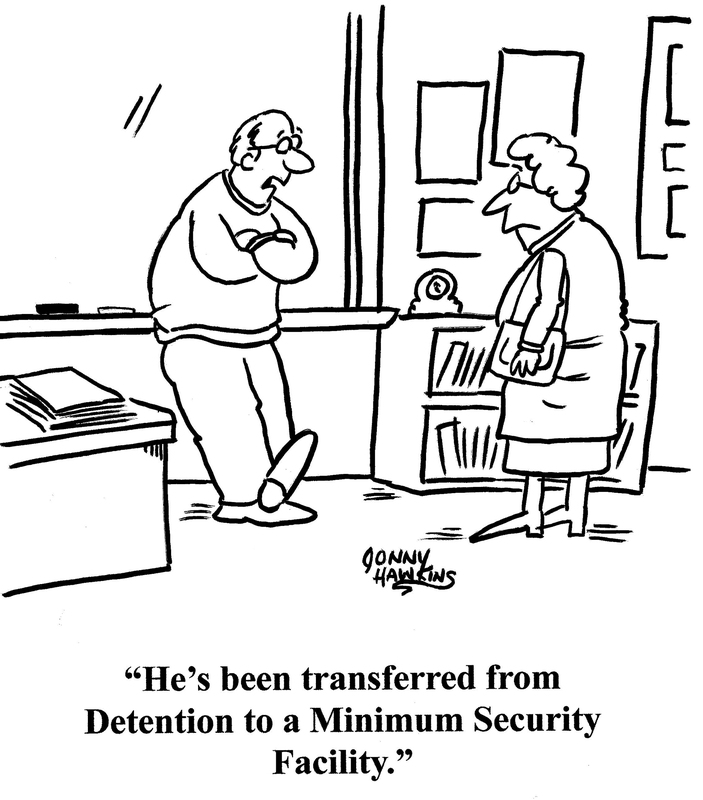 A student can be questioned without a parent present and bringing an attorney into the situation can make it even worse for the student. But a FOIA request – now that’s a different story. 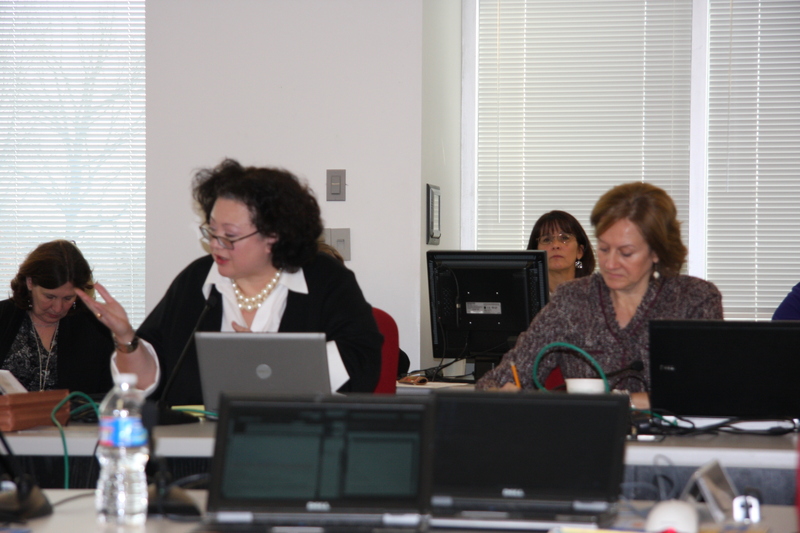 We learned today that FOIA requests get the best FCPS legal attention that taxpayer money can buy! Closing arguments in the trial finish Thursday morning and I’ll provide a wrap-up of those points tomorrow. Don’t expect an immediate verdict though. Attorneys tell me each side will likely present a post-trial brief to the judge summarizing their side of the case. The judge may then rule from the bench or issue a written opinion. Either option could take between two weeks to three months. Meantime, can someone FOIA just how much FCPS is spending on this case? I’d like to know how much “transparency” or the “lack of transparency” – depending on this judge’s ruling – actually costs in this county! Trial Tidbit: FCPS’ law firm includes a familiar face – former School Board Member Phil Niedzielski-Eichner’s daughter is assisting the defense team. 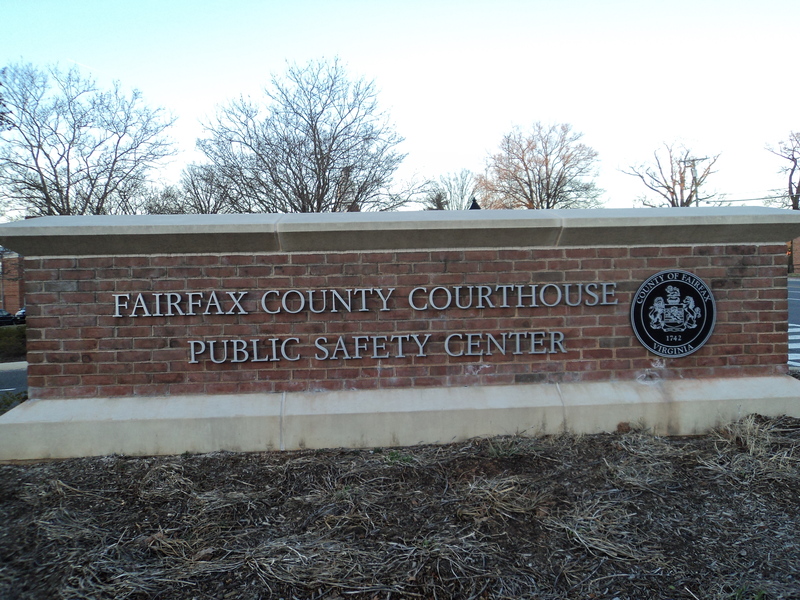 Lawyers duked it out Friday in a pre-trial hearing about allegations that the Fairfax County School Board violated the Open Meetings Law and the Freedom of Information Act. Attorneys representing FCPS entered the courtroom Friday morning determined to quash the plaintiff’s subpoenas for the full School Board and four FCPS top-level staff to personally appear at the trial next week. FCPS’ attorney told the judge that the subpoenas amounted to harassment of the School Board, adding that it would be a hardship for School Board members to appear at a day-long trial next week. He stated that School Board is only a part-time position and most Members have jobs. That got the judge’s attention. Final decision – the judge said having all 12 School Boards attend the trial was excessive. Only six will appear. include School Board Members Liz Bradsher, Tessie Wilson, Kathy Smith, Tina Hone, Patty Reed and Jim Raney. The FCPS Staff witnesses are: Dean Tistadt-Chief Operating Officer, Paul Regnier-Communications Spokesman , Pam Goddard-Clerk to the School Board, and Sara Kolb-Communications Department. FCPS’ attorney argued that all FOIA’d documents have been produced except about 100 documents that are exempt from FOIA. The judge asked why they were exempt and was told that the 100 documents contained student or FCPS personnel information or were exempt due to client attorney privilege. FCPS’ attorney said her recollection was that these emails took place during the School Board’s closed session meeting. The plaintiff’s attorney argued that the emails in question clearly were not distributing student information or having client/attorney discussions during meetings. Final Decision: The judge will personally review the 100 exempted emails Monday morning (officially called an “in camera review”) and determine if the redacted emails do indeed fall under the auspices of executive privilege and whether they are exempt from FOIA. This case is about process – not the substance of the emails. At the heart of the case is the Open Meetings Law and whether the FCPS School Board conducted the public’s business about the closure of Clifton Elementary School via email. If what School Board members had said in private emails had been said in public at the meeting, the decision to close Clifton elementary school may have turned out differently. So look for the plaintiffs to argue about why the Open Meetings Act matters and how the procedures put in place to protect people’s rights were not followed. Stay tuned – I’ll have more after Wednesday’s trial. The public may attend. 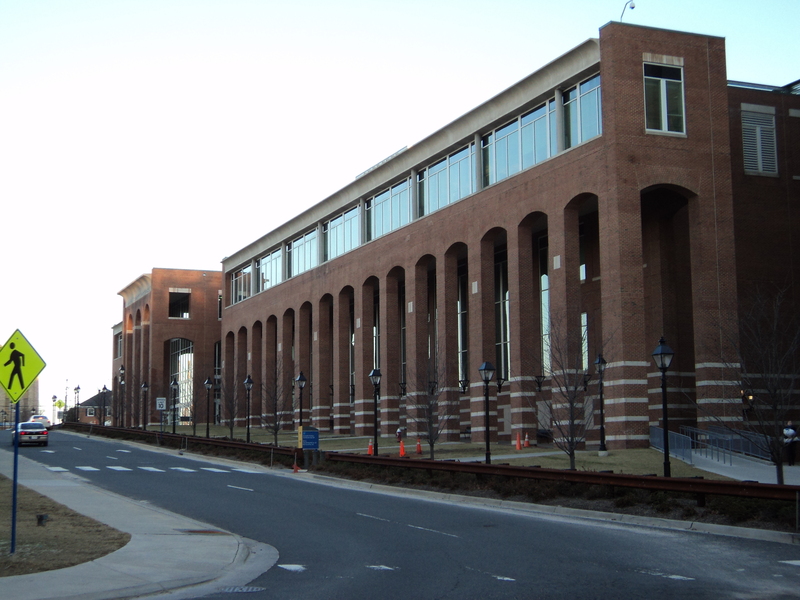 Location: Fairfax County Courthouse, Fairfax City – 10:00am, Wednesday, March 2, 2011 – fifth floor. Check the docket to determine which courtroom. Note: No cameras or cellphones allowed in court.